It’s the last week of the year, which often makes it a time to look back and reflect on the year that has been and also look forward to what is to come. 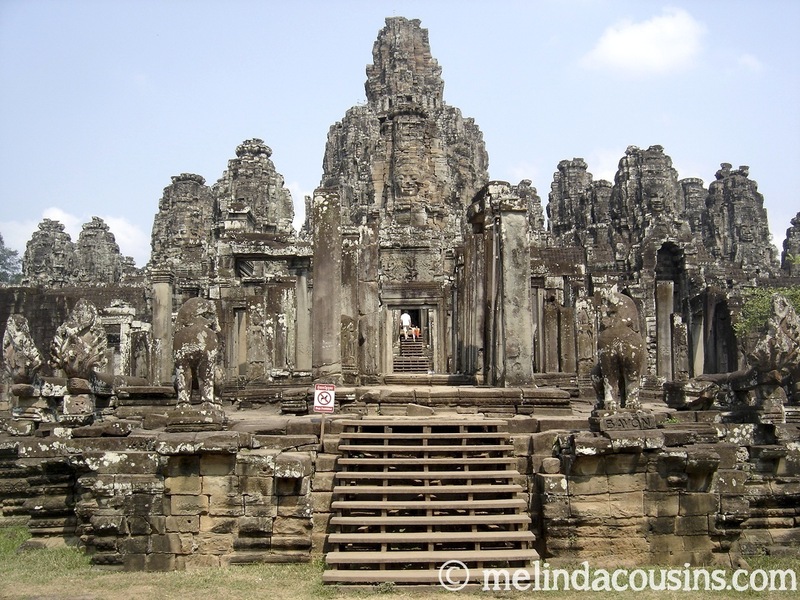 I love visiting places that are full of history and make me do the same, and so today a place I wouldn’t mind a quick return trip to is Siem Reap. 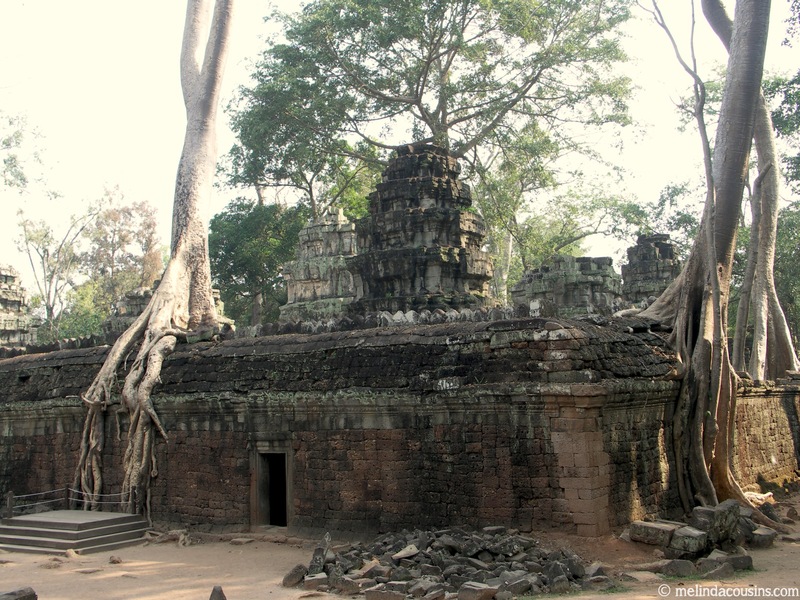 Siem Reap is most famous for the ruins of Angkor Wat, the nearby massive complex of 12th century temples that now lie abandoned. It’s a strange place of beauty and sadness, a testament to the devotion of those who built with such fervour and enthusiasm, and also to the way that such things do not always last. 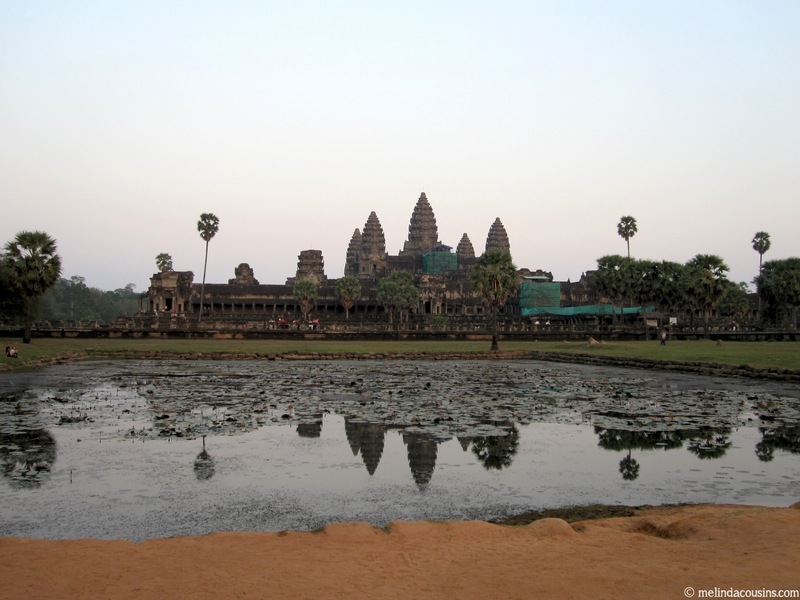 What did I love about Siem Reap? 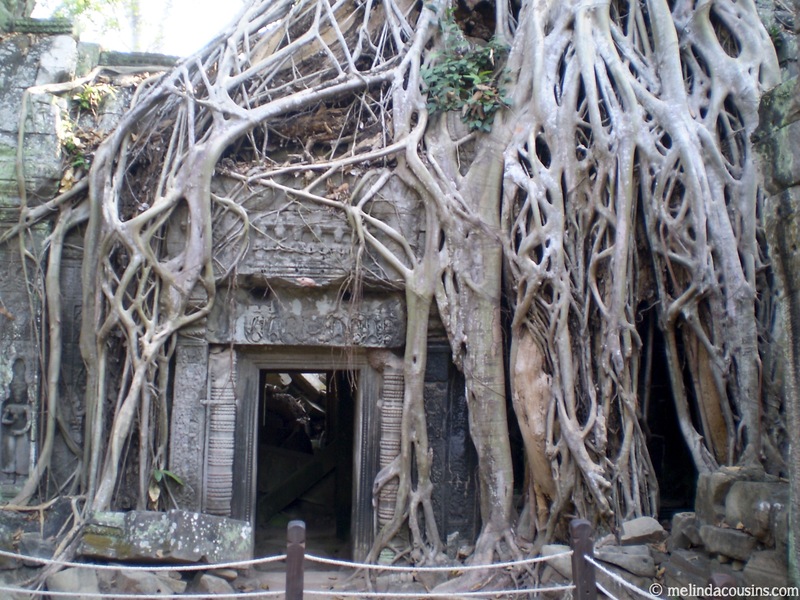 There is an eerie beauty to the ruins of Angkor Wat. It is a picturesque place to stop and reflect. 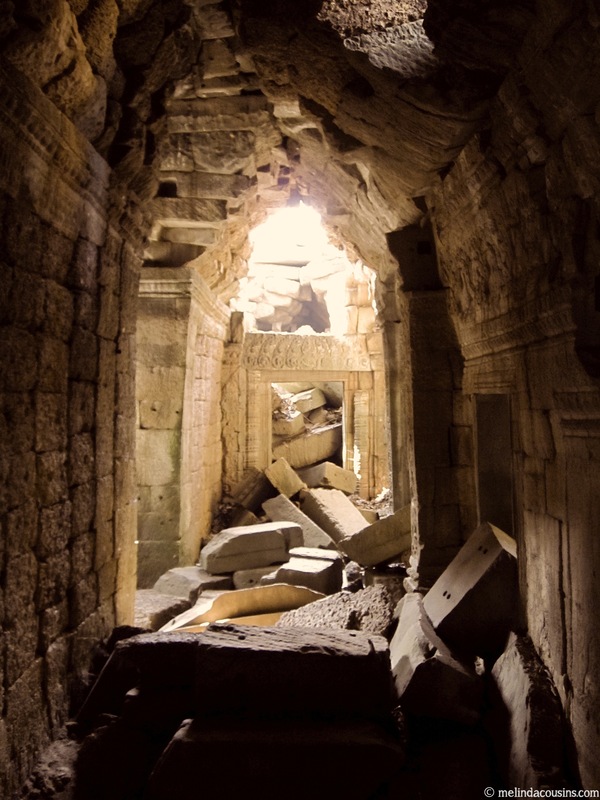 The temples themselves show the skill and craftsmanship of architects and builders using the techniques of nearly a thousand years ago. But much of the beauty today comes from their subsequent abandonment, and the way nature has taken over. It is an intriguing illustration of what really lasts … and what doesn’t. 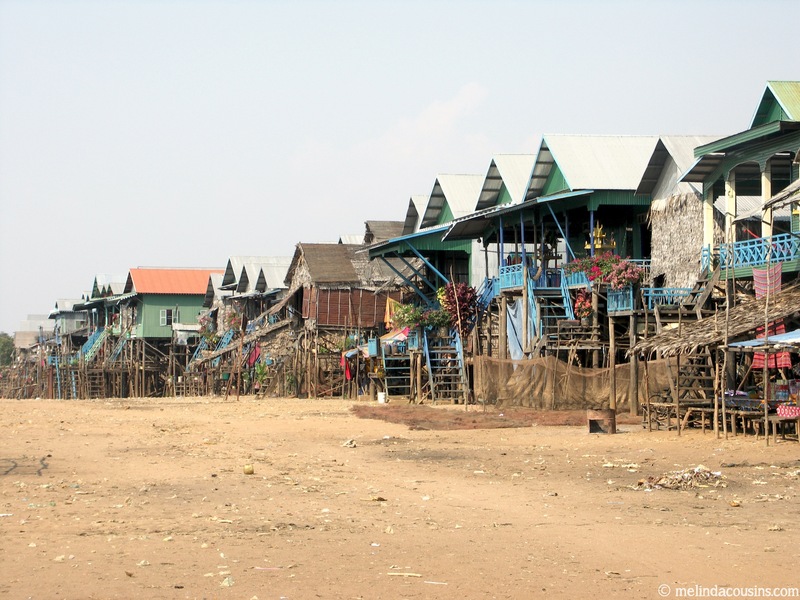 We also had the opportunity to visit the “floating villages” of the Tonle Sap. The people we met there live in great poverty and yet showed incredible warmth and hospitality. 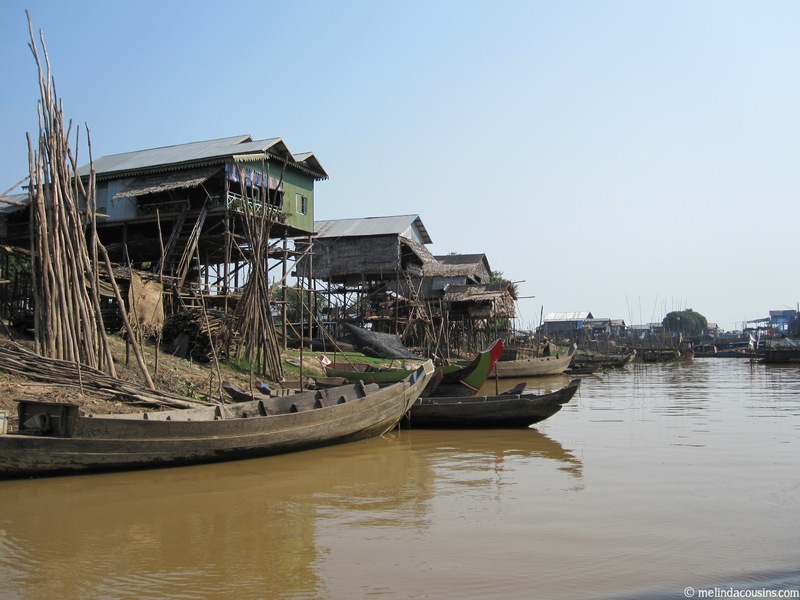 Despite the height of their homes, these communities face regular devastation when the river floods. We were shown around these communities and the town by the wonderful owner of the guesthouse where we stayed, Meang. He is one of the most generous, hospitable people I have ever met. 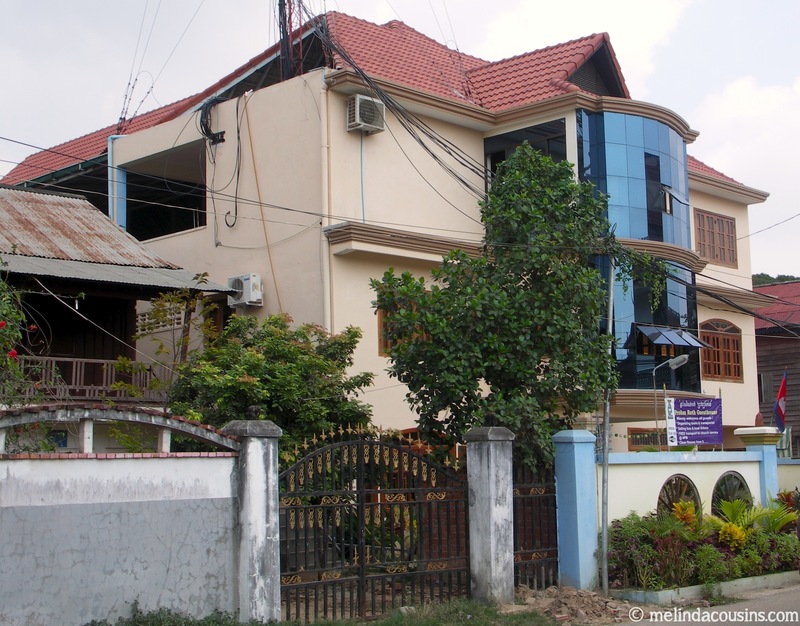 His remarkable life story includes being a Buddhist monk as a young child, fleeing for his life under the Khmer Rogue, meeting Jesus and having his life turned around, and now raising his younger brothers while running the guesthouse. If you know anyone looking for a place to stay in Siem Reap I cannot recommend him highly enough!! We were also able to enjoy the food at the night markets as well as the popular “massage” method of having fish eat the dead skin from your feet, which feels as weird as it sounds. 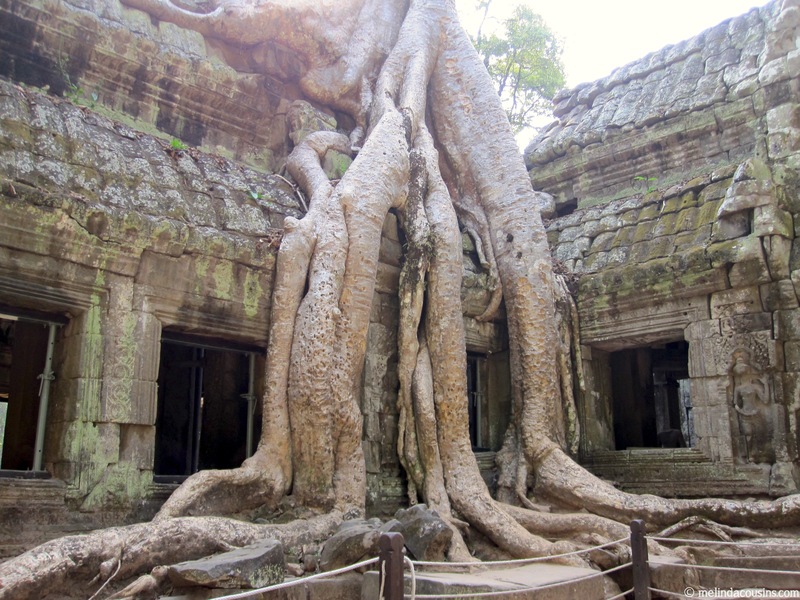 So, what did I learn from Siem Reap? From Meang I learned much about the power of the gospel and the power of love to overcome real brokenness and darkness and bring true joy to life. 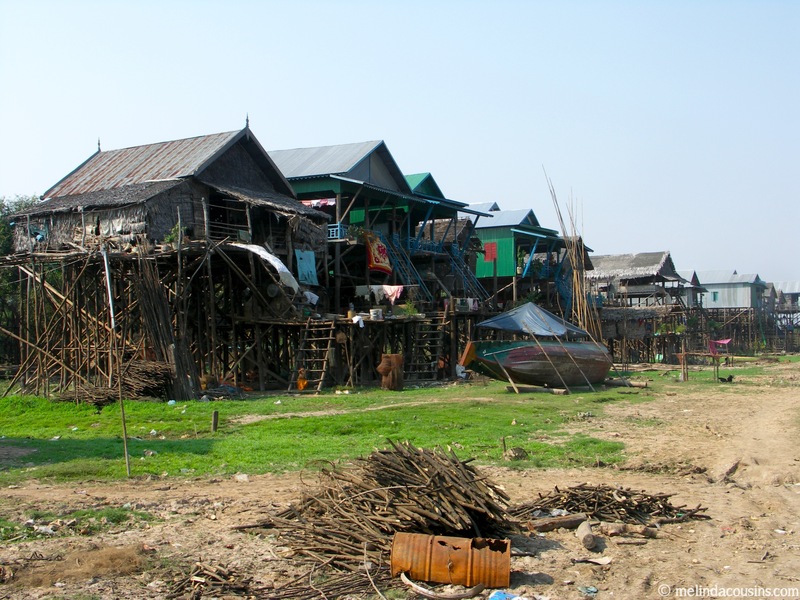 From the people of the floating villages I learned what perseverance really looks like, and my heart breaks to think of how a lesson I still do not fully comprehend is one they have to live with again and again, year by year. 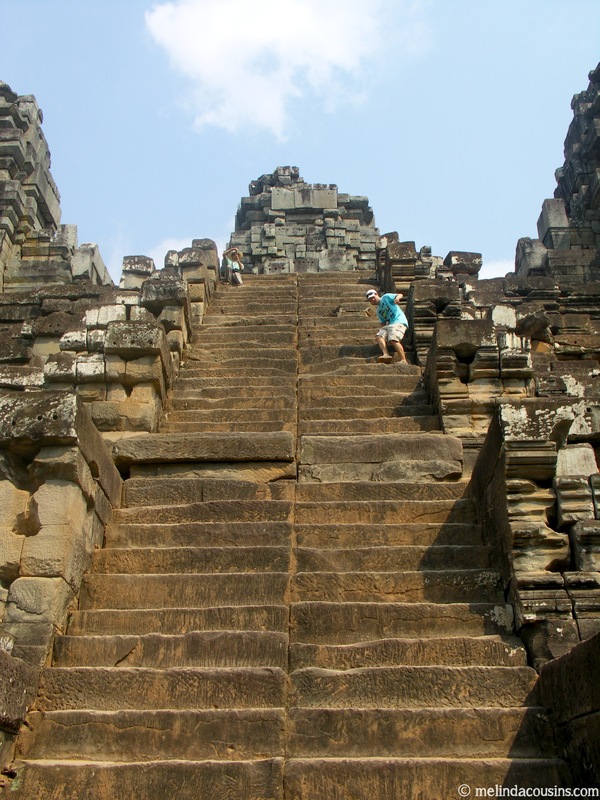 From Angkor Wat, I was reminded again of the innate human desire to strive and reach for the heavens … and the sadness that all our striving often achieves very little. It resounds with echoes of the tragic story of the Tower of Babel (Genesis 11). 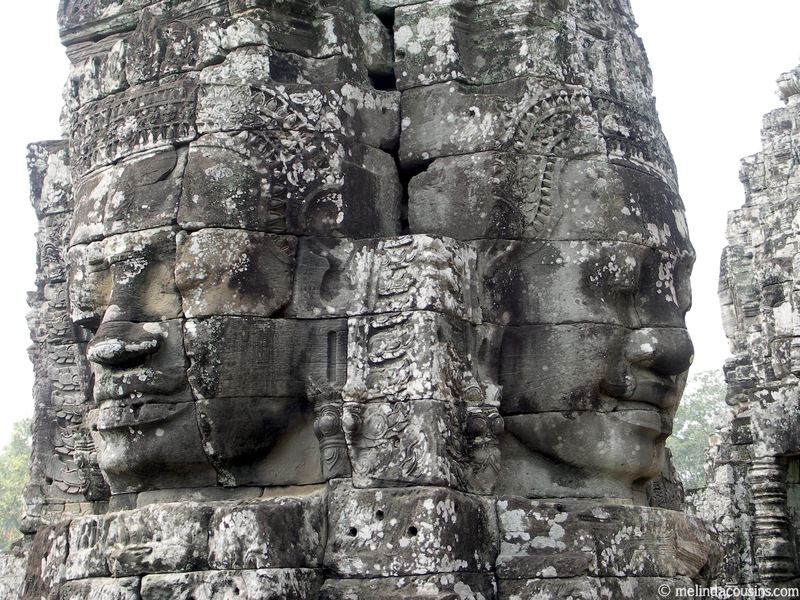 And finally, as again today I reflect on my past and my future, I am challenged by this question Angkor Wat provokes: How many hours do I put into things that seem so important at the time, but in the end will not last? And so Christmas is over for another year. What are we left with? Do the joy and wonder continue? Do we have greater peace and gladness than we had three days ago? Or are there some feelings of disappointment, that after all the build up it was over so quickly, or that it didn’t quite go as we had hoped and planned? Or perhaps there’s just sheer relief that the craziness of the past few days is finally over and we can sit down and relax! Maybe we’ve already moved on to thinking about New Year’s Eve and the next celebration to plan and prepare for and the seemingly endless cycle starts again. I love celebrating Christmas but many years I am left with these kinds of questions afterwards. What difference does it make to today and tomorrow and the next day? Is it really all just about one day? I knew that the word “Christmas” itself is a contraction of “Christ’s Mass,” but what I didn’t know before is that the word “mass” comes from the Latin missa which is in the concluding words of the liturgical celebration. These are the words of dismissal, the words of sending out, the words of mission. That has got me thinking today. Christmas is not just about one day, but a sending out into what comes next. Of course that is also true of the original Christmas story. It is the celebration of a birth, which is not an end itself, only the starting point for the life that follows. This Christmas I am struck with the message the angels had for the shepherds – words which also point forward and have a sense of dismissal or commissioning to them. What does it mean to go forward knowing that God has goodwill toward us? That He is pleased with us? That He favours us and is for us? What does it mean in a world where so many people think God is against them, just waiting to smite them? Where His church has too often given them the impression that God is displeased with them? These are the questions I am asking today, as I move forward into a new year and all that it holds. How do I take the mission of Christmas with me? How am I making it known that God loves this world – every broken, hurting, vulnerable corner of it? How does that make a difference to my every interaction and thought, my every word and deed? It seems appropriate this eve of Christmas Eve to think about spending time in the place where the events we are celebrating took place. I’ve visited Bethlehem three times, just for a day each time, and found it a place of sadness and joy, of tensions and of celebrations. 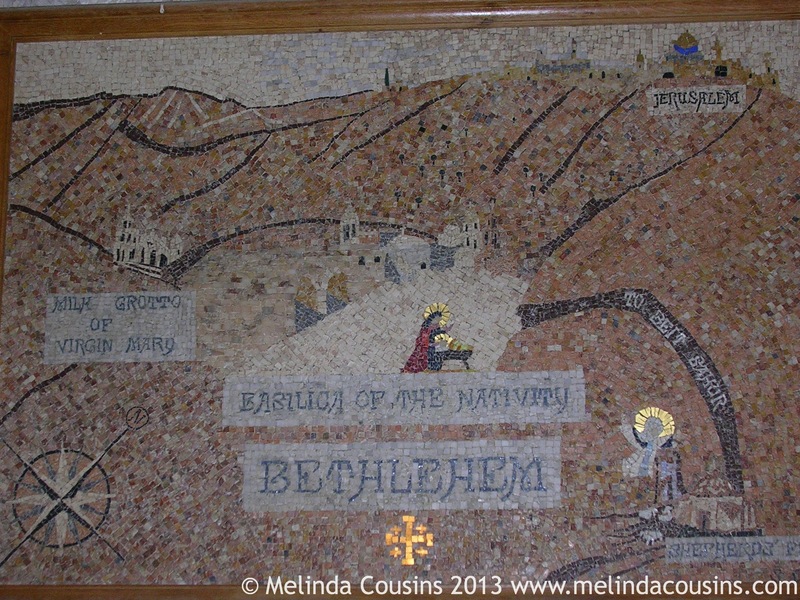 A place which perhaps reflects the breadth of emotions the story of the Incarnation brings in all its fullness. 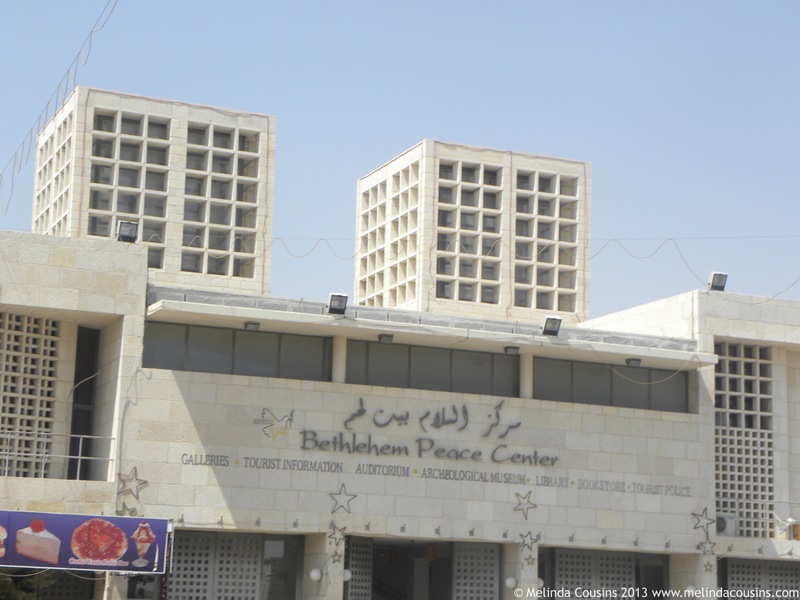 Bethlehem today is located in the West Bank, under Palestinian control. 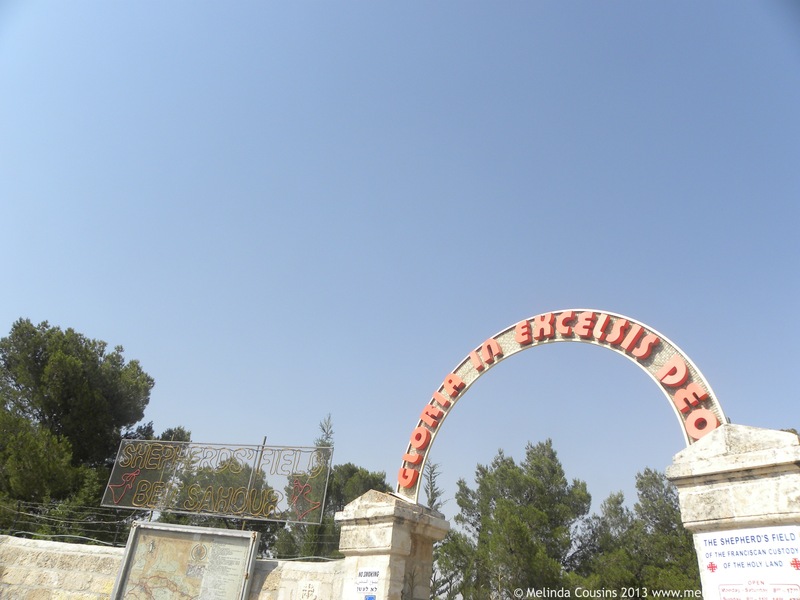 The first time I visited was during the Second Intifada and the experience of entering and exiting the town was quite confronting. Seeing the way those who lived there were roughly and invasively searched and trying to reconcile that with the deferential way we were treated as Westerners was difficult. On our visit last year things were much calmer. But none of us could miss seeing the wall. The huge concrete construction which surrounds the town, seemingly making it appear to those outside that there is nothing and no one in there. This time one of the most confronting things I found was sections of the wall which were painted with pretty scenes of empty fields and the Sea’s edge, as if to enable those passing by to imagine that that is what the other side is really like. The reality is quite different. The difference between one side and the other is something like the difference between a ‘first world’ and a ‘third world’ country, if I can use those terms purely to evoke a comparison. 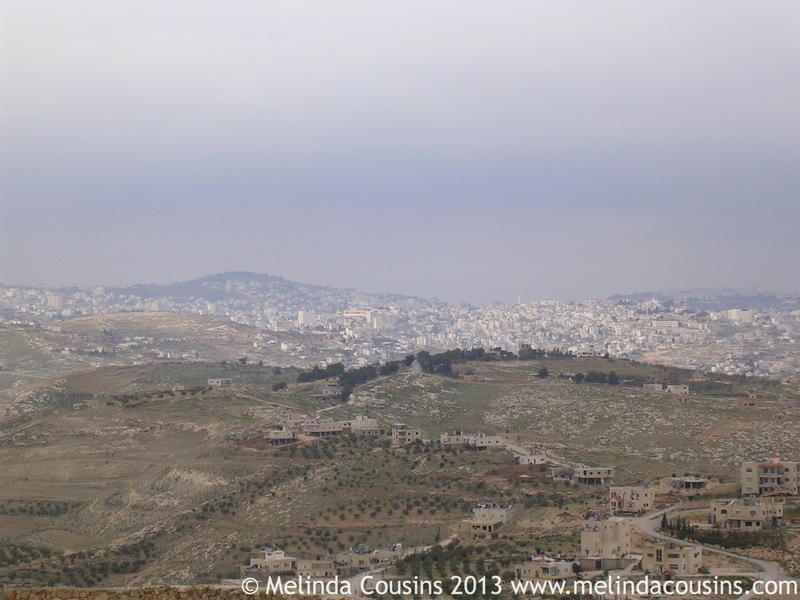 What did I love about Bethlehem? 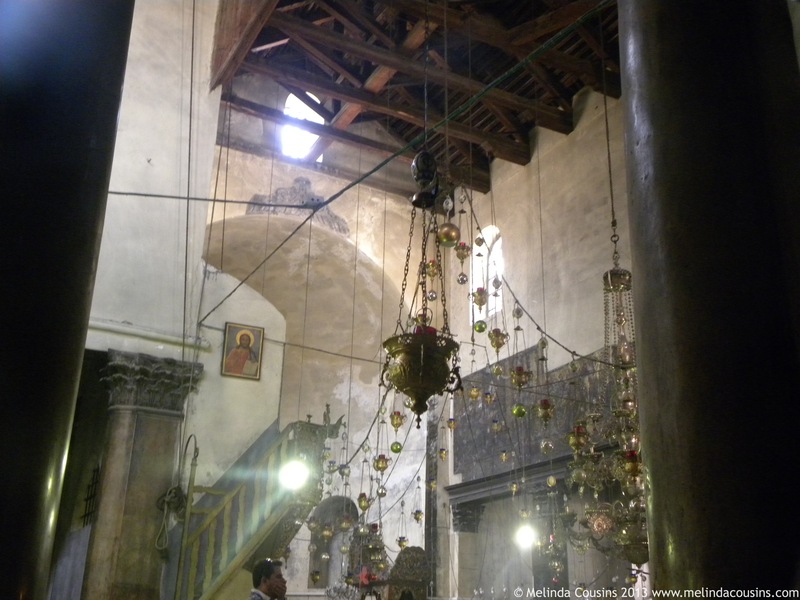 Obviously the main ‘attraction’ is the Church of the Nativity, built to remember the place of Jesus’ birth. The church has been through a lot. But there is a simple beauty in its setting. 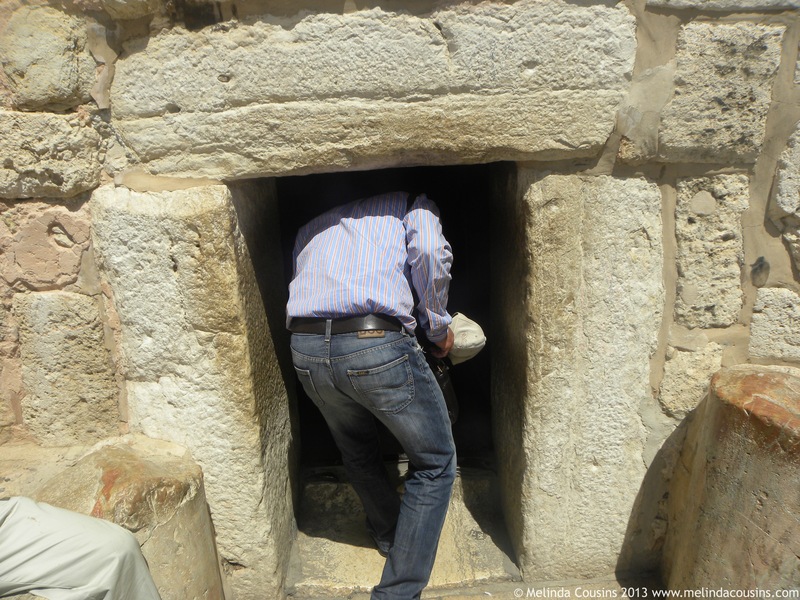 The tiny front door, supposedly a reminder to enter with humility, certainly makes you slow down as you go in. 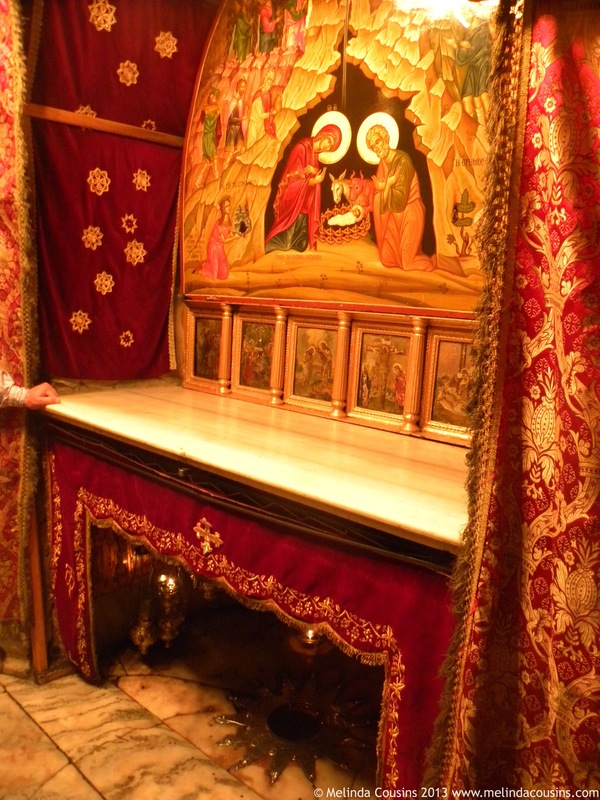 The grotto beneath the church with its star to locate the traditional ‘exact’ site of Jesus’ birth can provoke some cynicism; but is also a testament to the way many believers over thousands of years have remembered and been changed by the events that happened in this town. The adjoining chapel where Jerome translated the Bible into Latin is another reminder of those who have come before, and the way we benefit from their devotion and dedication. The statue of Jerome has a skull at his feet because supposedly he carried a human skull with him to remind himself of his own mortality. An interesting choice … not one I would emulate but, hey, if it worked for him …? Further afield you can visit the “Shepherds’ Fields,” an area where perhaps the other aspects of the story of Christmas Eve took place. Again, whether the location is exact or not, there is space to reflect and remember the message of hope and peace; the truth proclaimed here that God’s favour rests upon humanity. 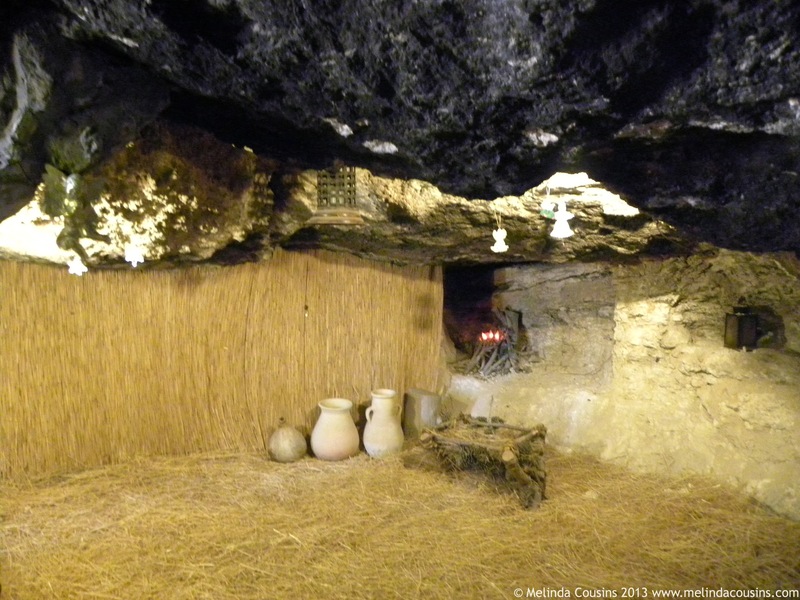 Our study group shared some time in the caves here last year worshiping. I know we can worship our Saviour anywhere, and yet I do appreciate the way a sense of ‘place’ can bring another dimension to our corporate experience. 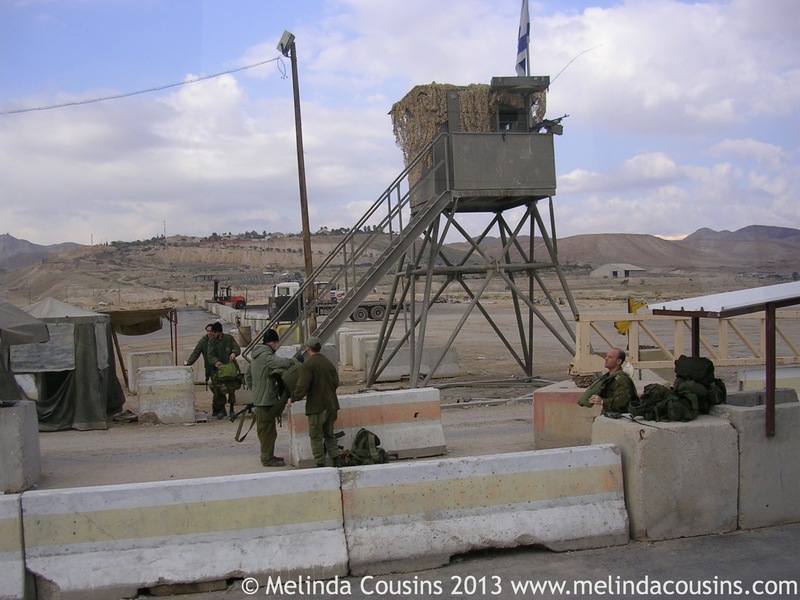 What did I learn from Bethlehem? As well as celebrating both the biblical story and the history of the church, this is one of the places that reminds me why people make pilgrimages. 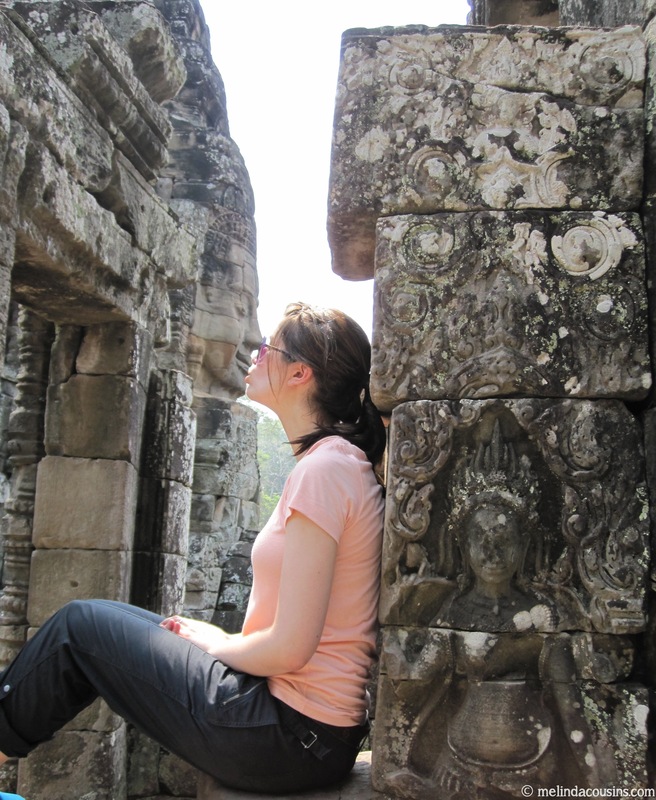 Whether these are physical visits to historical or sacred sites, or more spiritual recognitions of the journey, taking time to enter in, to be still, and to return to the busy-ness of life is an important spiritual practice. 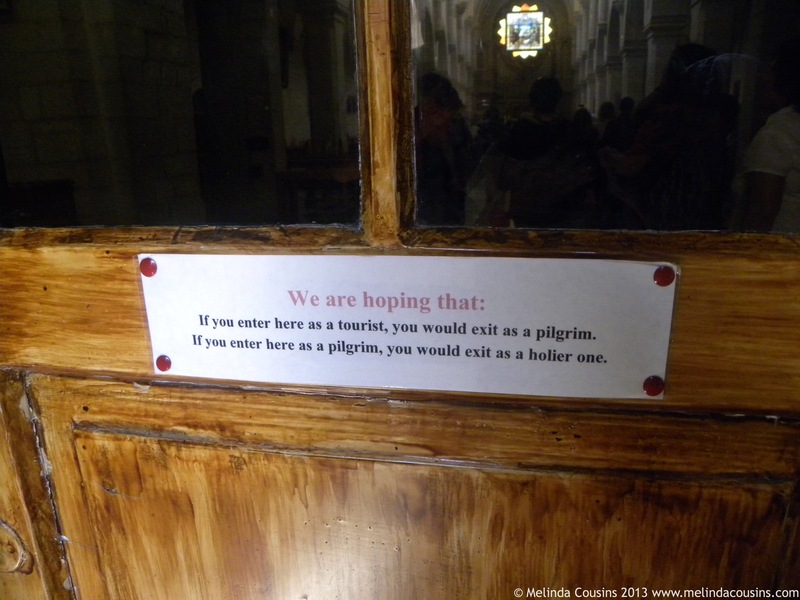 I can appreciate the intention of this sign on the door of the church through which we exited. We also spent time, and money, in some of the shops and restaurants around the town. 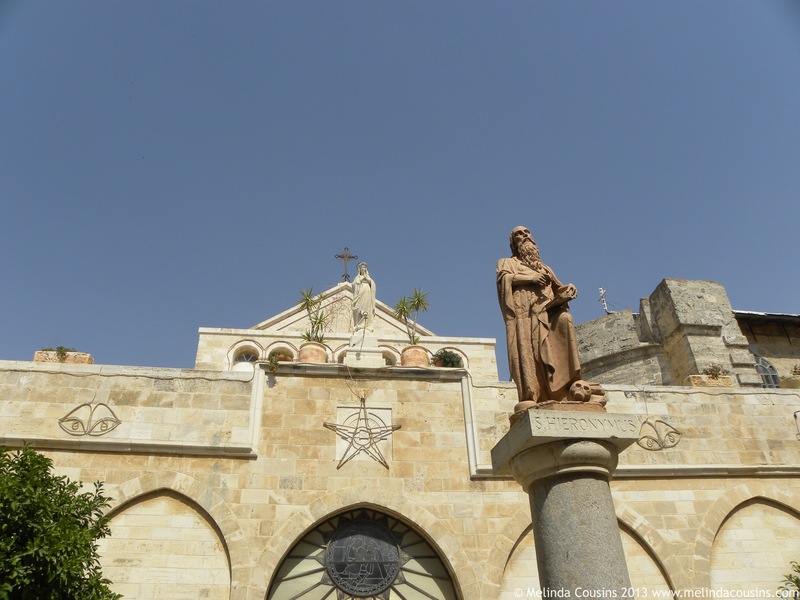 Tourism is Bethlehem’s main source of income and it has suffered over many years. It is a privilege to be able to support those there who seek not a handout but a way to engage, serve and connect. It was also wonderful to meet with Palestinian Christians and hear something of their experience and their hopes for the future. They asked us to remember them, to pray for them, and to ask others to pray for them as they seek to find ways to build bridges of peace and reconciliation in such a difficult place. 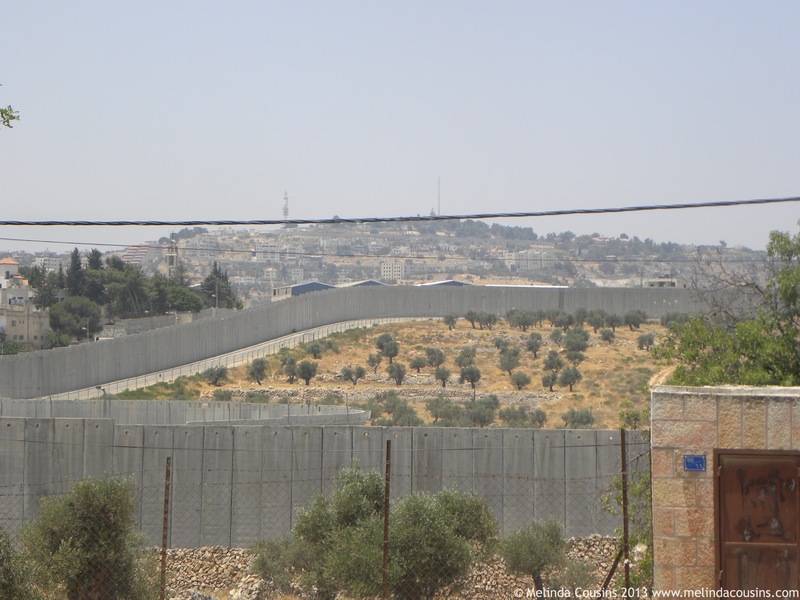 Like many places in Israel, the history of this place, both ancient and modern, is complicated; the politics perhaps even more so. Is it an accident that it is in this difficult place we remember that we have a God who steps into the mess and muck of humanity? The fullness of God dwelt in a helpless baby. The only ones to hear the angelic choir were those sleeping outside in the dirt with the animals. The birth of this tiny child provoked an attempted genocide. The Christmas story is not neat and tidy; and the place we remember and sing songs about at this time of year isn’t either. But it is a wonderful reminder of the real power of words like hope and peace and joy. They come in the midst of darkness and conflict and despair. They come just where we need them most.